Posted by Mike Field on June 09, 2018 at 19:38:40 user mikefield. 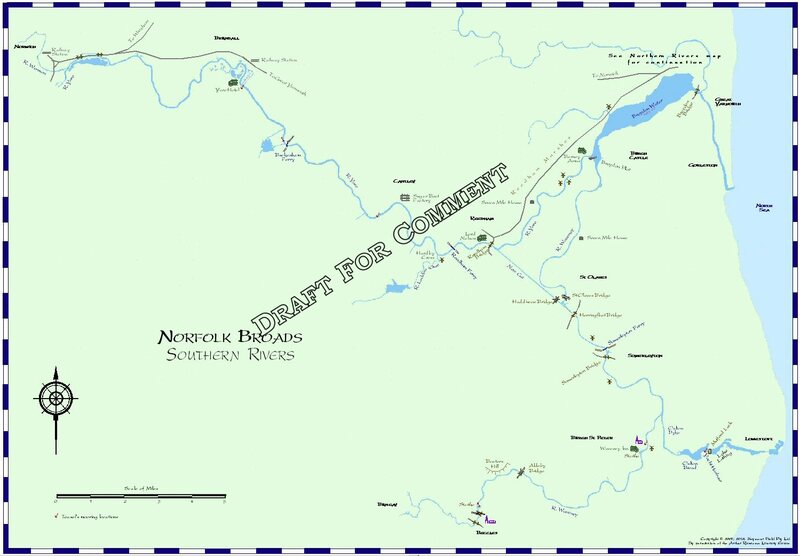 Long-term TarBoard contributors might remember some years ago that I posted draft maps of the Broads for comment. The intention was to have them corrected before they were added to 'All Things Ransome', to join my earlier maps for downloading. Life has intervened for quite some time, but comments I received then were duly noted and amendments made accordingly. New drafts have now been uploaded to my website, and I would be most grateful if the eagle eyes of TarBoarders could point out any details that remain to be corrected. By and large, I have attempted to draw the maps to portray the district as it would have been in the 1930s, and confined myself to showing those part of roads and railways that then existed and that were either known to have been used by the children, or where they were located in proximity to the various waterways. (So, for instance, the road from Acle to Yarmouth is only shown near each end, not for its full length.) My intention in doing this is to keep the focus on the Broads and the rivers themselves. 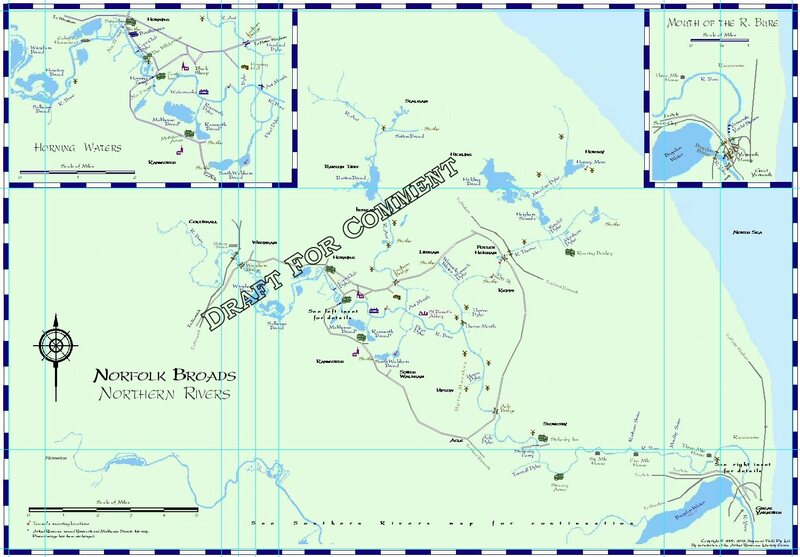 AR drew two maps for his Broads books -- of the northern rivers and the southern rivers respectively -- and after some experimentation I determined that this was indeed the best way to do them. So here they are. (I apologise for the fuzziness -- these are simply screen grabs. The final versions will be better.) Any comments would be most gratefully received.